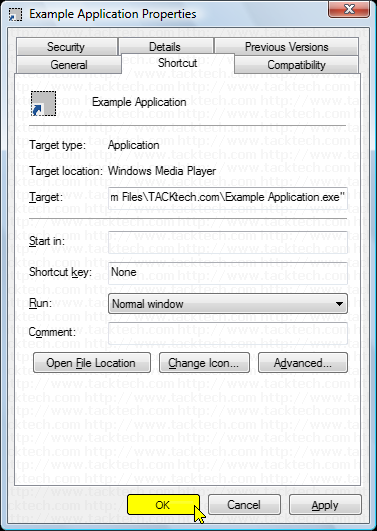 Always Run an Application as Administrator (Windows Vista) - TACKtech Corp. Problem: An application needs to be run as an administrator. 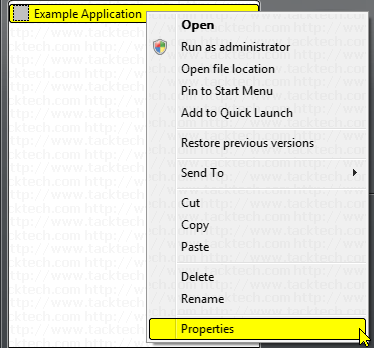 Solution: Use this Step-By-Step Guide to configure the shortcut to run the application as Administrator. 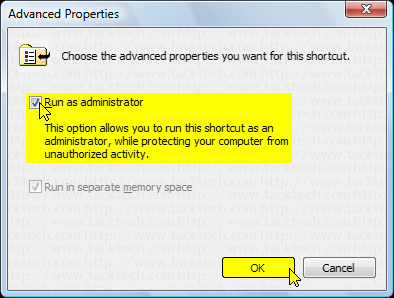 This option allows you to run this shortcut as an administrator, while protecting your computer from unauthorized activity. 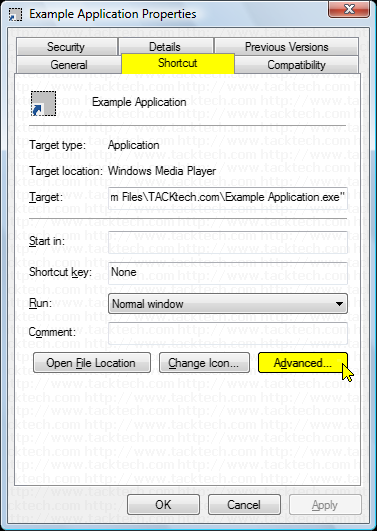 Right-Click on the application shortcut.